This is a miniature figure, folded to scale. 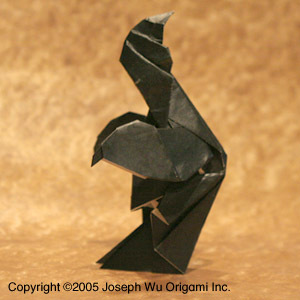 Folded from one sheet of paper. The wraith figure can be used to represent various forms of incorporeal undead creatures in D&D.